Next week Brandon University will honour 24 outstanding female students. BRANDON, Man. 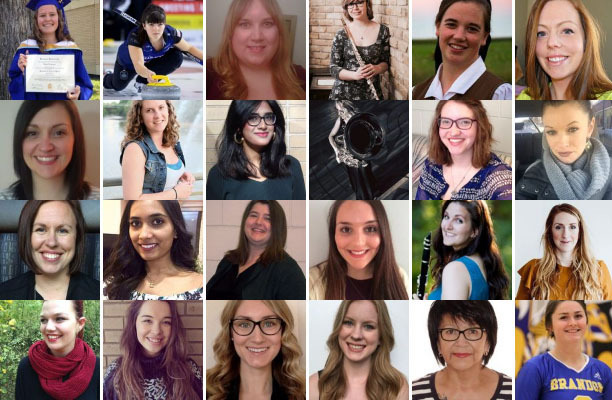 – A tuba player from Germany, a homegrown volleyball star, and a woman who has been an instructor in both astronomy and judo are just a few of the outstanding female students at Brandon University (BU) who will be honoured next week. The celebration will help mark International Women’s Day on Wednesday, March 8. Members of the BU faculty and staff have nominated 24 students who are being recognized for their accomplishments in their studies and in their communities. Profiles of the students can be found at brandonu.ca/womens-week. “Each year I am amazed at the talents, achievements and character of the nominees,” said Kathleen Nichol, who is an instructor in the Department of Physics and Astronomy as well as a member of BU’s Status of Women Review Committee. The students have been invited to a reception next week where they will receive certificates of commendation.